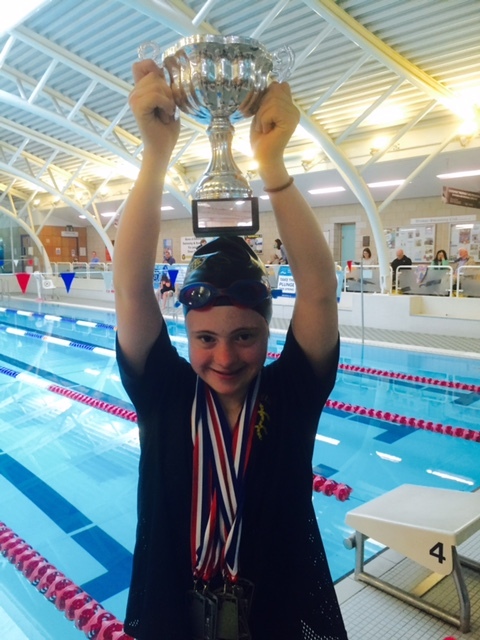 Lizzie Allen attended the European Down Syndrome Open Swimming Championships and smashed the 25m Freestyle Junior Down Syndrome World Record. Competition was high with swimmers from across Europe including Russia, Estonia, Sweden and Spain and Ireland. She broke the record by 0.07 seconds with a time of 19.36 seconds. 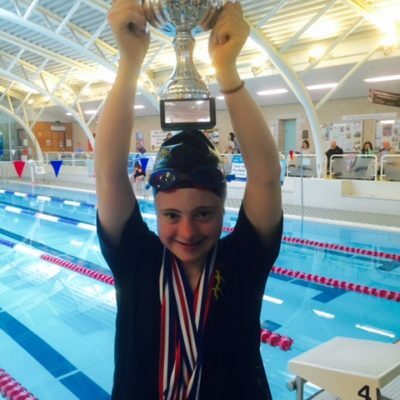 Lizzie also won gold medals in the 25m backstroke, butterfly and 100m freestyle and achieved four personal bests during the competition. 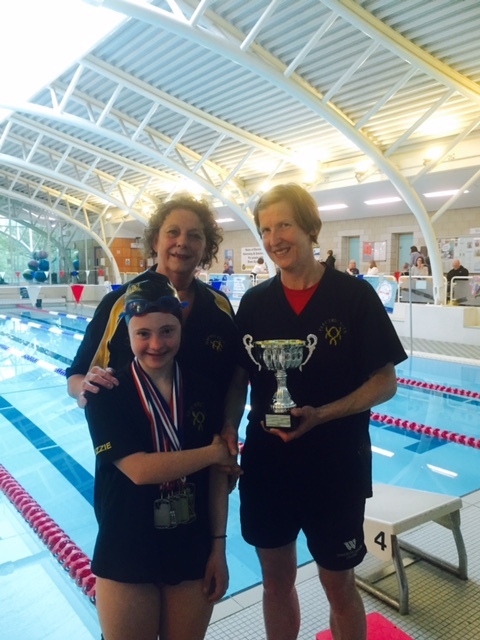 Lizzie aged 14, trains with Electric Eels led by Head Coach Pauline Walker who has supported the build up to this event. Lizzie’s next competition will be at the end of July when she will represent Great Britain at the World Down Syndrome Swimming Championships in Nova Scotia, Canada. 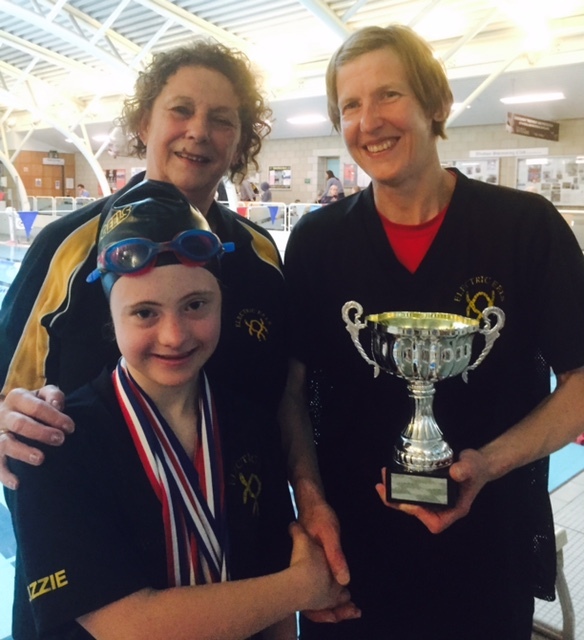 Lizzie said “I am the fastest junior swimmer with Down Syndrome in the whole wide world! I can’t wait to go to Canada”. 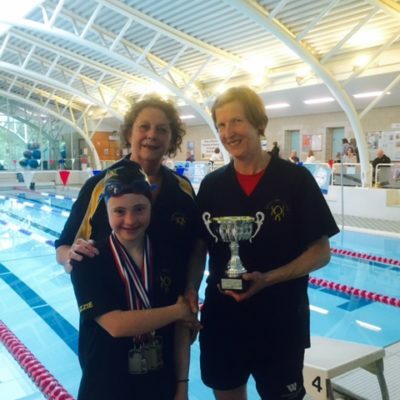 Pauline Walker added “We are all so proud of Lizzie and her incredible achievements. She trains really hard and is a pleasure to have in the Club”.